International tourism is booming, so much so that Melbourne Airport has experienced a 46 per cent rise in international passenger traffic since 2012. Melbourne is known as the ‘World’s Most Liveable City’, and due to its popularity as a destination, matched with many airlines enabling non-stop routes, Melbourne is well and truly on track to service almost 70 million travellers a year by 2038. With such a busy operation, getting security right is. 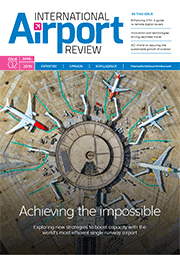 The airport needs to meet the needs of both airlines and its obligations in a security context. Importantly, we need to do it in a way that not only preserves the traveller experience but enhances it. To understand the integral role security will play in Melbourne Airport’s growth, we first need to understand the challenge we’re solving. 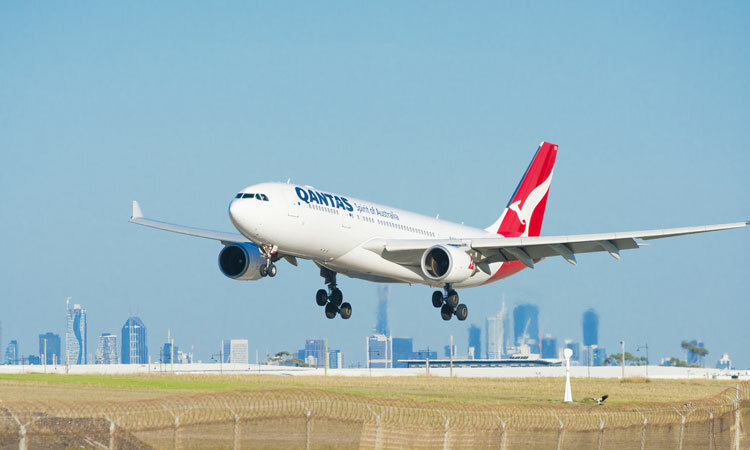 While most passenger movements through Melbourne Airport today are domestic, the real driver of growth in passenger numbers comes from the international market. 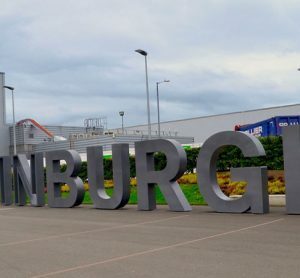 In March 2018 the airport celebrated nine years of consecutive month-on-month growth in international passenger numbers, showing the trend has been clear for a while. Forecasts predict the airport will welcome more than 16 million annual international travellers by 2038 – a 60 per cent increase on today’s throughput. So, our security solution must be adaptable to the demands of today, and the needs of tomorrow. We’re tackling those challenges with the expansion of Melbourne’s international security screening facility, which is set to be unveiled in November 2018. The T2 Security Screening Expansion is based on the globally-renowned Smart Security initiative, established by the Airports Council International (ACI) and the International Air Transport Association (IATA). It will consist of installing additional screening lanes, advanced technology, an integrated airport security check point solution, parallel divestment stations, an automated tray return system, plus improved passenger pathways and design enhancements. Once complete, the T2 Security Screening Expansion will not only provide improved safety outcomes, through the use of smart technology, but also an improved traveller experience by providing an easier and efficient process for overseas jetsetters. 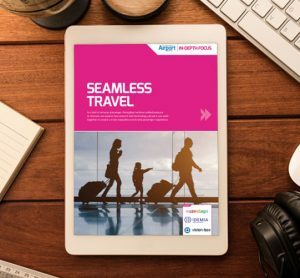 Technological advancements and digitalisation is shaping the way we travel. Passengers want more control of their journeys and this can be achieved through automation. This trend is impacting most areas of travel, including security. Security screening technology sits at the heart of today’s airport security approach. Whether that technology is an archway metal detector, a current-generation x-ray scanner or a next-generation computed tomography (CT) scanner, the screening technology informs other parameters such as human resources, the training required by operators, and the throughput rates for passengers moving through the process. As part of Melbourne Airport’s security upgrade, two additional body scanning units will be installed with all units upgraded to next generation technology that is in line with the plan that we will develop over the coming months following the Federal Government’s recent aviation security announcements. Melbourne’s T2 Security Screening Expansion will also include cutting-edge CT x-ray systems that contain advanced algorithms, which will deliver improved threat detection capabilities. The CT technology, common in hospitals, will also give the airport’s security staff a major upgrade over the x-ray scanners they use now. Staff will be able to virtually unpack bags and spin objects around in 3D; potentially eliminating the need to unpack certain items. Transitioning through security can be one of the most stressful touchpoints in a traveller’s journey, which is why creating a calming environment from the outset is key. Melbourne’s T2 security entry point will be completely transformed using natural wood panelling and additional lighting to provide clear lines of sight and reduce stress. The refreshed entrance will catch the eye of travellers, naturally guiding people to the area. 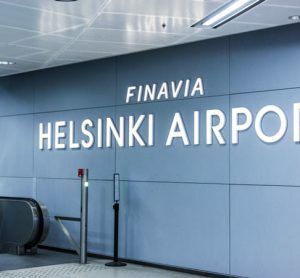 It’s at this point that international travellers will encounter automated entry gates used for boarding pass verification, streamlining the process and reducing queues. Once inside the revamped security zone, travellers will experience the benefits of using the re-designed parallel divestment stations and the automated tray return system. These parallel divestment stations will allow multiple passengers to simultaneously prepare and push their trays into the screening queue before moving on to the next stage of the process, which is body screening. Essentially, this will allow travellers to progress through the security point at their own pace and style removing the need to wait behind passengers who may have more luggage. Travellers have different needs and this function really appeals to all traveller types. As part of this upgrade, Melbourne Airport’s capability will increase from seven to 10 new passenger screening lanes, plus a dedicated staff and goods screening point will be operational separating the airport workforce – including airline staff – from travellers. These changes will go towards increasing capacity that is much needed to cater to our fastest growing market. When the project is completed later in 2018, Melbourne will be the first Australian airport with this type of integrated security technology and we’re proud of that fact, plus it will be ready just in time for our busy Christmas peak. At Melbourne, we pride ourselves on pioneering our understanding and application of security technology. This was recognised by Prime Minister, Malcolm Turnbull, who visited the airport earlier in 2018 to see first-hand how effective the new technology is. Accompanying the Prime Minster was Minister for Home Affairs and Immigration and Minister for Border Protection, Peter Dutton, and Minister for Law Enforcement and Cybersecurity, Angus Taylor. 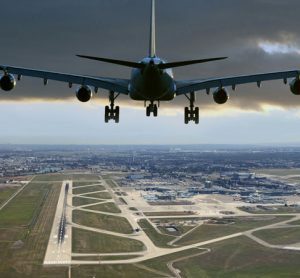 It’s certainly an exciting time to be part of the aviation industry with so many technological advances, especially in the fast-moving world of security. 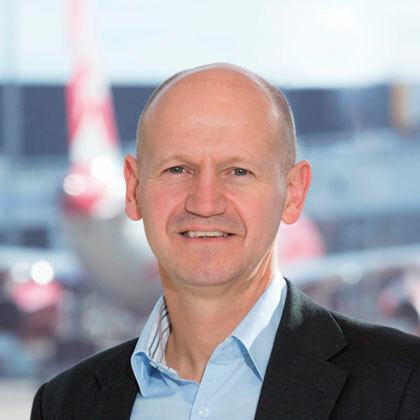 Simon Gandy is currently Chief of Aviation for Melbourne Airport and sits on the Board of Destination Melbourne, the Advisory Board of the Tourism & Transport Forum, and the Swinburne University Aviation Advisory Committee. His aviation career spans 28 years including 10 years with Melbourne Airport where he has held several executive roles leading operations, engineering and construction, business development and airport strategy. More recently, Simon led Australian Pacific Airports Corporation as Acting CEO during their transition between CEOs. Simon’s career began in the UK with BAA plc. During his 17 years with the organisation he held a number of senior leadership positions. Simon graduated from Birmingham University with a degree in Mechanical Engineering, later becoming a Chartered Engineer, and is a graduate of the Australian Institute of Company Directors.